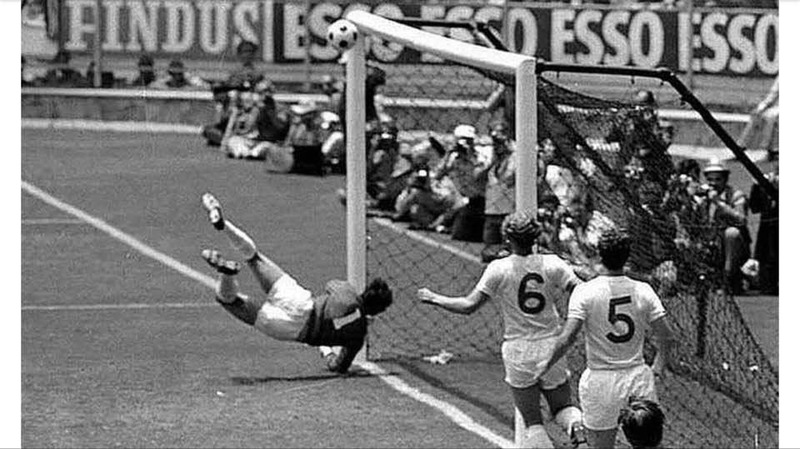 A true Great RIP Gordon Banks. Remember seeing the great man down t`Shay in the FA cup for Stoke. We were stood just yards from him as they opened up part of the speedway track to stand on, so we were right next to the goals. World cup final at Wembley to the Shay. Things just got better and better for him. One of the all time greatest keepers. Just think how good he'd ha e been with all the modern day coaching on top of his brillant ability. RIP to a national hero. R.I.P Gordon, the greatest England goalkeeper of all time. It's hard to imagine now but he continued to play with just one eye following a car crash!!! True legend!! Sad Day for football RIP Mr Banks. A true great. RIP Gordon. Back in about 1971 Town had a game at Portvale and me and the lad I was with were approached by Gordon and he gave us complementary tickets for the game. True Gent. Met him a few years ago when the 66 lads did an evening at Berties, he was a real gent, had so much time for everyone, a humble guy and true gent. R.I.P. England's greatest ever goalie. 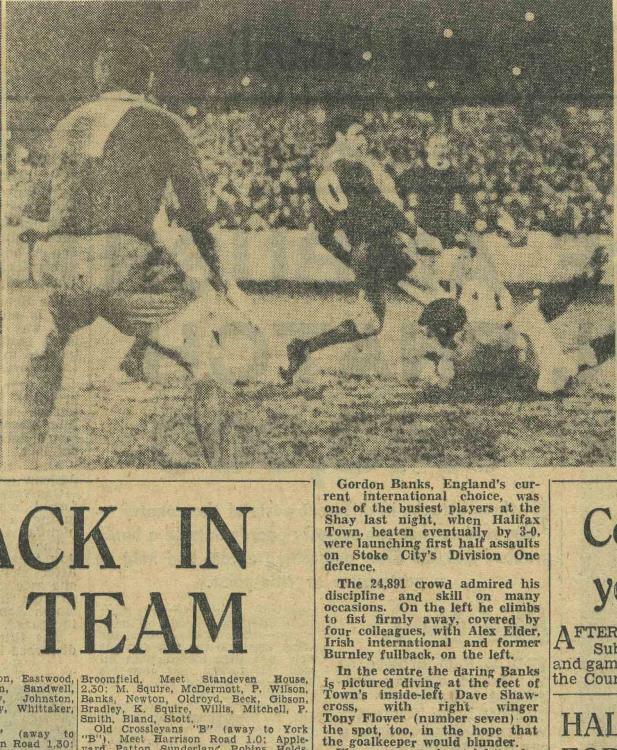 When Gordon Banks played at The Shay.